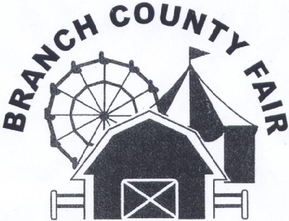 The Branch County Fair, invites your cooperation in making this fair a worthwhile contribution to the rural life of Branch County. Its principal function is to encourage the work of the young people in Branch County. There are features of interest to those in every walk of life and it is hoped that you will participate in the Fair and that you will enjoy the efforts of those organizations and individuals who are giving of their time and wealth in making the fair possible.